Finally! Newsletter Printing Has Been Made Fast, Easy, Painless, and Inexpensive! Are You Fed Up With the Hassle of Trying to Get Your Newsletters Printed Quickly, Easily and Inexpensively But Still Making You and Your Business Look Like a Million Bucks? Let the Concierge Print and Mail Team Be Your “Secret Weapon” – Your Go-to Resource to Get Your Newsletter Printed, Mailed, and On The Way to Your Customers, Clients, Patients, and Prospects! Newsletters are by far the #1 customer and client retention and business growth marketing tool there is – bar none! Mailing your customers a monthly print newsletter is the best way to build stronger, healthier, more dependable, and phenomenally profitable relationships with your customers, clients, and patients. Every month, your friendly customer newsletter keeps your customers informed, lets them know how else you can serve them, gives them some valuable information, and it also entertains them (hopefully)! Your customers love to read this kind of newsletter and when they read it, they’re keeping your business top of mind. Do You Need A Newsletter Written And Designed For You? If you found this page and do not yet have such a newsletter, or you’re currently spending more than one hour per month doing so, than I urge you to check out my wildly popular No Hassle Newsletters! Every month I provide 24 pages full of amazing articles of my Famous “Customer-Loving™” content – a wide variety of articles, cartoons, puzzles, clipart, and more! And as a subscriber you’re free to use it all in your newsletter! Your customers will love to read the articles I provide every month! My extraordinary “No Hassle” team and I currently serve hundreds of No Hassle Newsletter clients in nine countries and we’d love to serve you! If you don’t already have a newsletter designed, no problem – we do that too! You can see some samples of my No Hassle Newsletter templates and my Famous “Customer-Loving™” content at www.NoHassleNewsletters.com. There’s always the pesky little problem of getting the darn newsletter printed and mailed! It can be such a hassle to get it done correctly – even by people who understand newsletters. In fact, newsletter printing can often be a bigger hassle than producing the newsletter! For some entrepreneurs, just the thought of dealing with the printing and mailing process can be enough to make you dread creating and publishing your customer newsletter in the first place. Starting Right Now, Your Newsletter Printing, Postage, And Mailing Hassles and Worries Are OVER! Hello, and welcome to The Concierge Print & Mail On Demand Service! My name is Jim Palmer and I’m known internationally as The Dream Business Coach. I literally wrote the book on newsletter marketing – The Magic of Newsletter Marketing – The Secret to More Profits and Customer for Life – along with several other books. I’ve been marketing and building businesses for 30 years. I have customers and clients in nine countries and I’m the expert on maximizing the profitability of customer relationships. I’ve been writing and designing newsletters that get amazing results for almost 30 years and I printed and mailed literally hundreds of thousands of newsletters. To bring you the best possible newsletter printing and mailing program I’ve teamed up with my long time friend and super smart business partner Bobby Deraco. Bobby and I now make it “quick and easy” for you to get your monthly newsletter out the door and into your customer’s hands! Bobby owns one of the largest print management companies and together we bring $14 million of print buying power to the table – so even small orders qualify for big savings! Bottom line, Bobby and I are the industry’s leading experts when it comes to printing and mailing newsletters and we do it right! 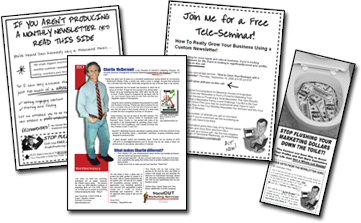 Let Bobby and Me Make Printing And Mailing Your Newsletter Quick, Easy, Painless, and Profitable! Instead of the usual hassles most people encounter when trying to get their newsletter into their customer’s hands, our concierge print and mail service makes it easy as 1, 2, 3! You order your Concierge Newsletter Printing service below paying for the quantity you want. The secure order pages walk you through how to select your quantities and automatically apply the volume discounts. You e-mail your newsletter (in PDF) and mailing list (in Excel) to my production team. The whole process is very quick and easy, taking just a couple minutes, and we walk you through the whole process. Jim’s Concierge Print and Mail Service is simply incredible! Just a few clicks and an email and everything else is taken care of for me! What I really like is that they print it right the first time, they don’t bother me with stupid questions, and they get it in the mail on time every single month with No Hassle. If it was up to us to do that in-house it wouldn’t get done! If you’re not sending out a print newsletter with Jim’s Concierge Print and Mail Service stop being so cheap and lazy and get that done today. If you don’t want to write your own newsletter, then get Jim’s No Hassle Newsletter program and he’ll even deliver 90%+ the content to you every month! Hi Jim, just want to take a minute and thank you for the amazing concierge newsletter printing service you guys provide for our No Hassle Newsletter. You have made this so easy and pain-free by providing all the services needed right at the touch of a button. Our newsletters get printed on demand, the cost is less than what we would pay doing it ourselves and your customer service is outstanding. Our newsletters are well received and we have even re-started old relationships that we had been out of contact with for 2 years! Thanks for the turn key service! The four price charts below indicate your cost per newsletter for printing and mailing services – postage included. All prices are for standard–rate postage. 1) Click the appropriate “Order Now” button below the price chart based on your newsletter style. 2) On the next page, you will enter your total desired quantity and click “Recalculate.” This will show your total amount due. 3) Click the green “Check Out” button and proceed to the payment window. After paying for your order you’ll be taken to a page with instructions for submitting your newsletter and mailing list for processing. Don’t worry – This is as simple as sending an e-mail! Once we receive your email, we’ll print and mail your newsletters within five business days! I can’t make it any easier! Do You Want A Free-Standing Insert? We can now print and insert a 1- or 2-sided B/W Free-Standing Insert (FSI) in your newsletter (a great way to earn more revenue and help convert prospects to paying customers! One-sided FSIs are $0.27 each for printing and inserting and two-sided FSIs are $0.34 each. You will add these to your order, if you choose, when you select your newsletter type from the order chart below. Don’t See Your Size Newsletter? Need A Custom Quote? No problem - we got you covered! Just e-mail Bobby and he’ll gladly send you a quote that will knock your socks off! In your e-mail, be sure to tell Bobby the size of your newsletter (how many pages), the quantity you want printed and mailed, and whether your newsletter is B/W or color. You can expect a quote within 48 hours. We Look Forward To Printing And Mailing Your Next Newsletter! All you need to do now is select the type of newsletter you want us to print. Instructions for selecting your quantity, and adding Free-Standing Inserts (FSIs), will show up as you place your order now. Then, once you have submitted your order, you will receive instructions on how to quickly and easily submit your mailing list - we even include a handy Excel template that makes it super-simple to do (download template here). If you need assistance getting started, e-mail us at coach@GetJimPalmer.com or call (800) 214-6158 - we're here to assist you throughout the process! Please Note: The prices below DO include Standard rate postage. Other than Free-Standing Inserts (FSIs), which are a slight additional fee, the pricing below is all-inclusive. P.S. Just a few more notes. All concierge orders are printed and in the U.S. Postal System in five business days. We mail from Lancaster, Pennsylvania and ‘Standard Mail’ can take up to 7-14 days to reach its final destination. Please plan your target ‘delivery dates’ accordingly. If you have any questions about production and mailing options, I invite you to please email coach@GetJimPalmer.com call us at 800-214-6158 and experience our Customer-Loving™ service firsthand! P.P.S. If you’re still not convinced that newsletter printing and mailing CAN be easy, then you haven’t tried The Concierge Print & Mail On Demand Service! Look, as a customer retention expert, I constantly challenge my coaching clients and my audience to “go the extra mile” to make it easy and hassle-free for your customer to do business with you. 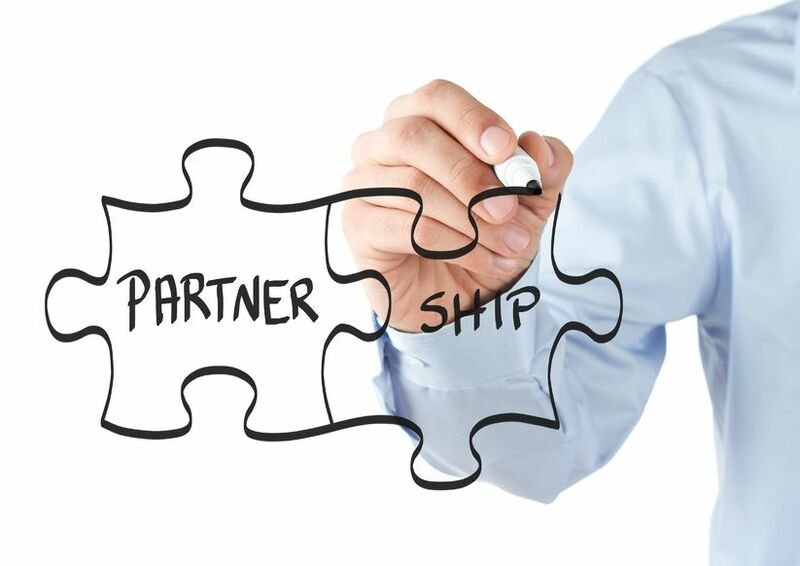 Bobby Deraco and I see 100% eye-to-eye on this, and that’s why we have created our amazing “Concierge Newsletter Printing And Mailing Service. To get your newsletter printed now, scroll up and click the “Order Now” button beneath the type of newsletters you want and follow the easy steps to complete your order.